The backbone of Guernsey’s economy is, and has been for the last 30 years, it’s internationally renowned financial services industry. Information specific to this can be found here. Tourism and hospitality is a developing and thriving sector for Guernsey. Continual investment offers high quality, ever improving hotels on the Island, as well as a range of events and activities throughout the year. The Island also offers a wide variety of independent restaurants and cafés serving up fresh local produce and mouth-watering dishes. Guernsey really is unique. Guernsey is also a great place for business travellers, flying here via commercial or private aviation. We have a wide selection of quality hotels and accommodation, many with conferencing facilities. In addition to the short flight times from the UK, journeys are never long in Guernsey, allowing business people to get the most from their visits whilst still having time to fully appreciate the Island. 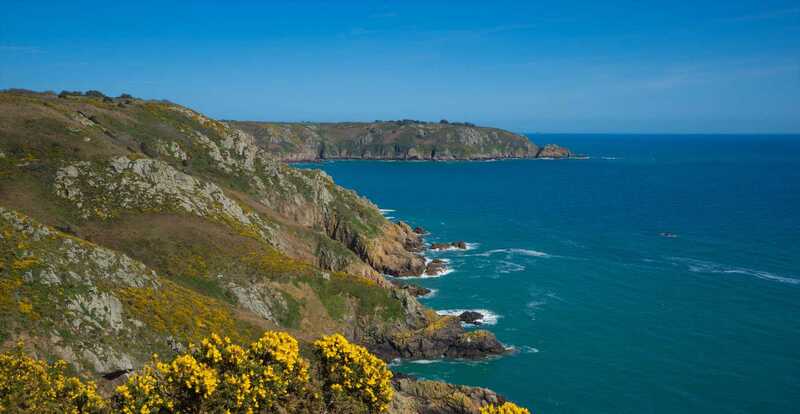 The States of Guernsey undertakes strong off-island marketing under the VisitGuernsey brand promoting Guernsey to the tourist market through a variety of marketing campaigns. Guernsey’s unique history and heritage, it’s fascinating Sister Islands and wide variety of activities and attractions, are just a few of the reasons that well over 300,000 people visit the Island each year. Many festivals and events, such as The Channel Island Heritage Festival, held in collaboration with Jersey in 2015, help to drive a healthy tourism industry throughout the year. 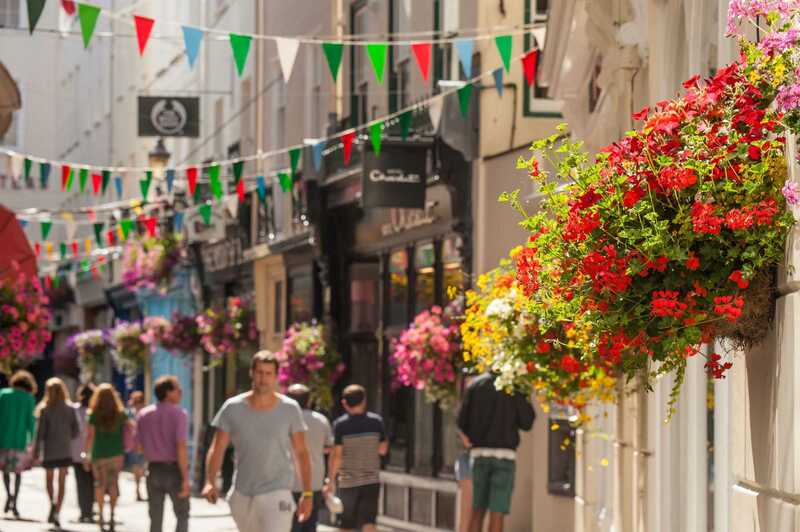 The attractive and compact pedestrian area of St Peter Port is a magnet for Islanders and visitors, comprising an eclectic mix of retailers, from national and international names to much-loved local boutiques. Our VAT-free prices and Sunday opening make Guernsey ideal for those who enjoy a relaxed shopping experience in beautiful surroundings. Rural centres elsewhere in the Island also offer shopping opportunities in the parishes of St Sampson’s and St Martin. The Island is home to more than 1,000 people working in the Creative Industries, which reflects a community that is making an increasing contribution to a diversified economy. Guernsey is also the chosen location of the largest in-house Creative team in Great Britain, with the multi award-winning Creative Department of Specsavers being based in the Island. Across a wide range of creative disciplines – including web and software development, architecture, design, advertising, and film and video – talented and highly-skilled people help to make Guernsey a great place for creativity. Similar to the UK: Guernsey’s Creative Industries sector has recently grown more quickly than the economy as a whole. The supportive relationship that this sector has with other parts of the economy shows how Creative Industries in Guernsey are well-positioned to continue developing. The Island is home to more than one thousand people working in the Creative Industries, which reflects a community that is making an increasing contribution to the economy. Continued provision of a secure energy supply for Guernsey which is both financially and environmentally sustainable. The Renewable Energy Team (RET) has driven the first phases of building a regulatory environment for renewable energy generation. In collaboration with other government service units, universities, experts and stakeholders, RET continues to undertake research into the social, economic and environmental impacts of renewable energy development in Guernsey. Their aim is to ensure that all the required political, legislative and commercial processes and approvals are in place for the potential sustainable use of the Island’s renewable energy resources. With Guernsey’s unique geographical location and its potential for renewable energy generation through wind, tidal and wave energy, the States of Guernsey produced the Energy Resource Plan in 2011. The work of RET is enabling positive progress into this rapidly evolving sector – a sector that if managed properly has the potential to provide significant benefits for the Island. With its naturally beautiful landscape, Guernsey’s traditional industries of agriculture, horticulture and fishing continue to have an important place in the Island’s environment and economy. A large proportion of Guernsey’s farmland can be seen inhabited by the world famous Guernsey cow, a unique breed renowned for producing rich and creamy dairy products with a distinct golden colour. The Guernsey Dairy distributes their milk as well as manufacturing cheese, cream, ice-cream, and the much-loved Guernsey Butter, international demand for which means that approximately 25% of butter produced is exported to the UK and the continent. Guernsey, with its surrounding local waters, is well-regarded as providing some of the finest quality seafood available. Many of the island’s excellent restaurants serve up lobster, crab and other delicacies caught daily by the fleet of local fishermen, who also have a healthy export trade with France.